Austin High took home two awards at the UIL State Film Competition at the Paramount Theater. Ballet Folklorico's Competition Team participated in the Viva Aztlan Festival and competition in Lubbock Texas, competing at the adult category, which means they competed not only against high schools, but also semi-pro adult touring companies from Texas and New Mexico. Despite the stiff competition, our dancers brought home several awards. Ashley Villarreal and Angela Tudon won 3rd place in adult duets. Sofia Valedez received the honor in our San Luis Potosi entry. ​The Austin High Theatre Department won 1st place in the District UIL One-Act Play Contest. This is the 52nd District Championship for Austin High! Several students received individual recognition. ​Congratulations to Yasmin Lopez Casique, Dell Scholars Winner. She has won a $20,000 scholarship, a laptop, textbooks, and direct academic, financial, and emotional support from Dell. 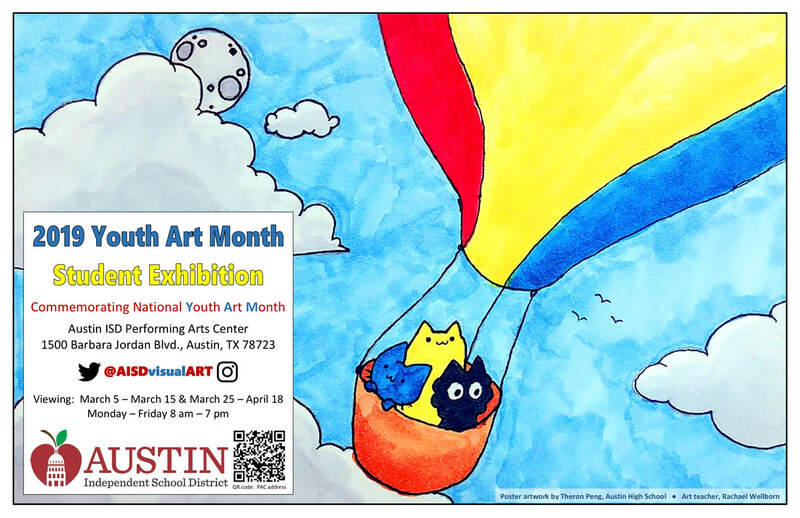 Congrats to Theron Peng who won the AISD Youth Art Month Poster contest. This is a huge honor to represent the district. The poster will be distributed citywide. ​Congratulations to AVID students Yasmin Lopez and Yadhira Carrillo, Dell Scholars Semi-Finalists! ​Congrats Vanessa Estrada on your 2nd RAVE for the 2018-19 school year! We appreciate your outstanding customer service. 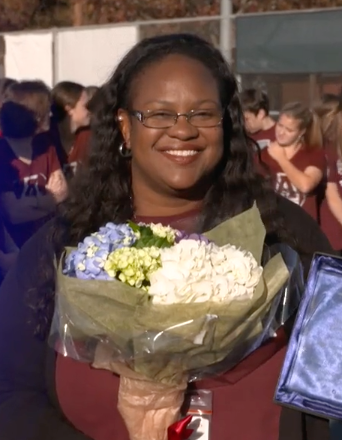 Congrats to Austin High's 2019 Teacher of the Year, Anita Nunez! Ms. Taylor performed with Austin High's Ballet Folklorico as a fundraiser for the group. Esoooo! 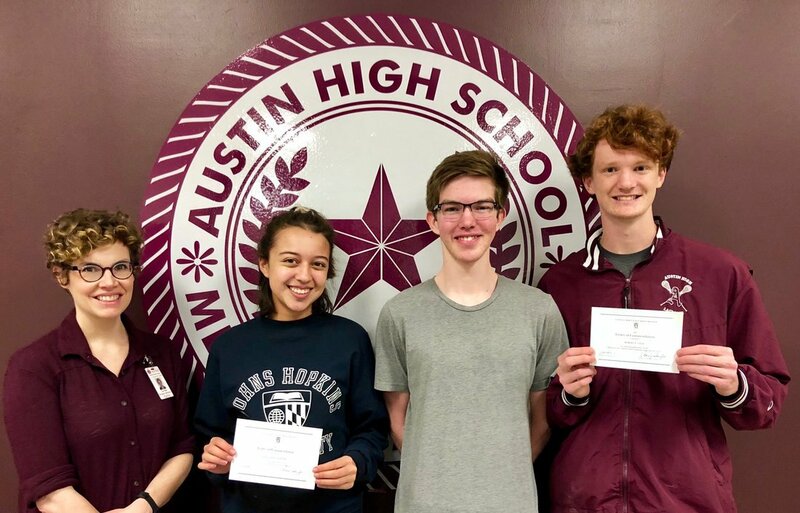 Austin High students competed at the Scholastic Art Competition, with 4 students receiving a gold key in the regional competition and moving on to the national level competition. 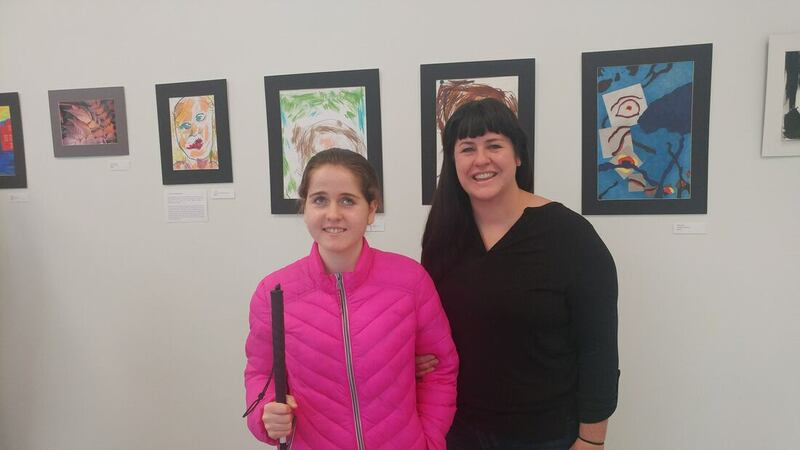 Austin High School Visual Arts students displayed their artwork at Collections on the Block for a Charity Show supporting Beyond Batton. 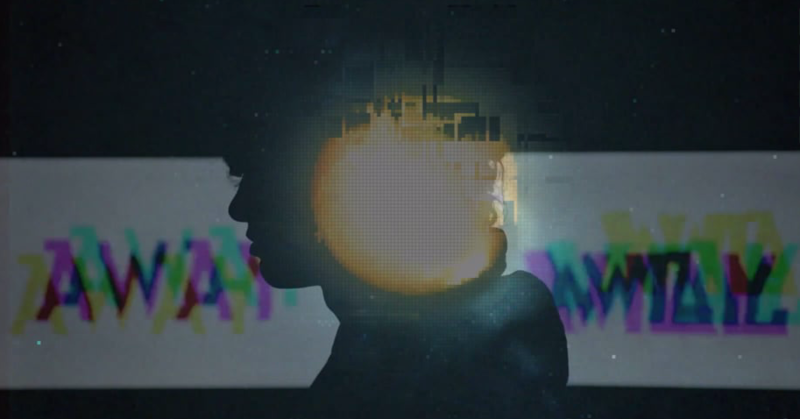 Artwork generated over $1,000 in sales. More photos here. Tennis coach Leslie Oduwole was named No Cut Coach of the Year for Texas by the USTA, recognizing her goal of letting everyone on the team participate. Check out AISD in 3 to see the award ceremony and an interview with Coach Oduwole. 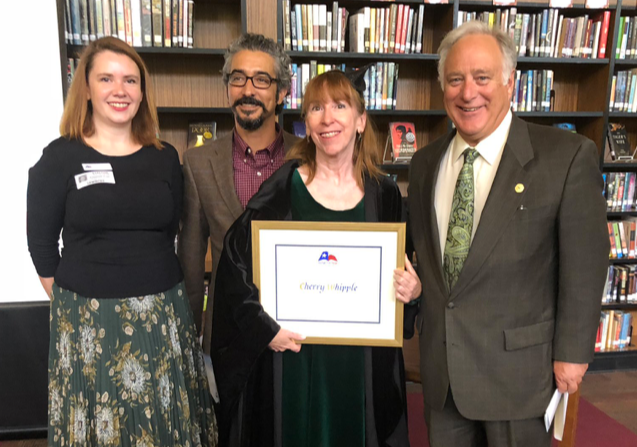 Texas Senator Kirk Watson presented history teacher Cherry Whipple a 2018 Outstanding Teacher of the Humanities Award from Humanities Texas. In addition to Ms. Whipple's award, Austin High receives $500 to spend on Humanities-related resources. Ms. Whipple accepting a teaching award on Halloween...dressed as a witch! Linda Garcia and Norma Ramos received AISD Rave Awards for outstanding customer service in November. AHS Theatre students earned more national qualifiers than any other school in AISD at the Texas Thespian Festival this year. We also earned 2nd in State for the Tech Team Challenge. ​This is a short movie about an 18-year-old graduating high school who is held back from life by her mother. 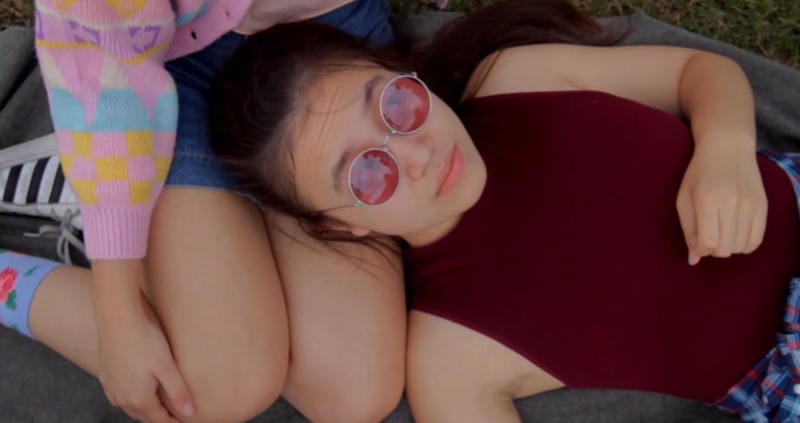 This video was created in the Austin High Media Arts Program. It is over 10 minutes long and was screened in October with the other narrative short films made in the program. It won the Audience Award at the Narrative Showcase Screening. This is an introduction to some of the musicians and student bands at Austin High. This video was created as a news piece for KAHS. It is over 10 minutes long and it contains links to listen to the music of the students. The performance is November 17, 4:00 pm, in the AISD PAC. All are invited. Nicole Kim also qualified for All-State Orchestra. She is among the top 100 high school violinists in the state. There were only a handful of students from Austin who qualified. Congratulations to the following singers for placing in the TMEA Area contest. They advance to AREA in San Antonio in January, 2018. Austin High Girls Golf won 2nd at the Lake Travis Invitational. Contributing to the win were Hannah Choi, Katherine Dwyer, Elle McCartt, Amethyst Rodriguez & Fallon Russell. Hannah also took 1st in the tournament with a low score of 77! Austin High's Commercial Photography students won 2 of the 28 state-level awards at the Texas Photographic Society Competition. This was our first year participating. In addition, several students won awards at the ATPI Fall Photo Contest, from more than 7,400 entries from 99 schools. 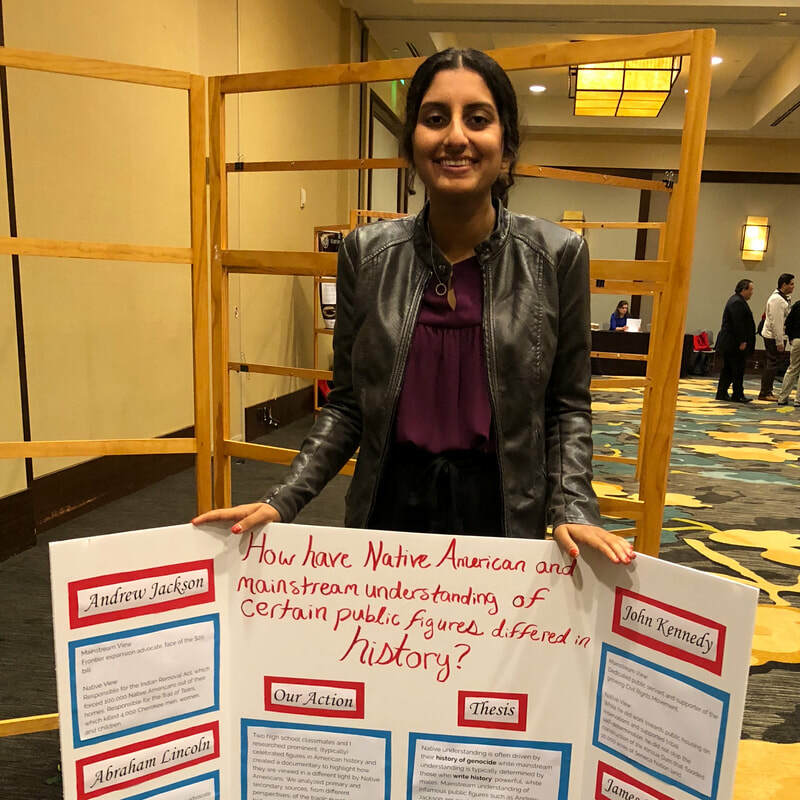 Two AGS students, Avni Singh and Rachel Williams, attended the Western History Association Conference in San Antonio October 19-20 to present at a poster session, along with their teacher Ms. Whipple. 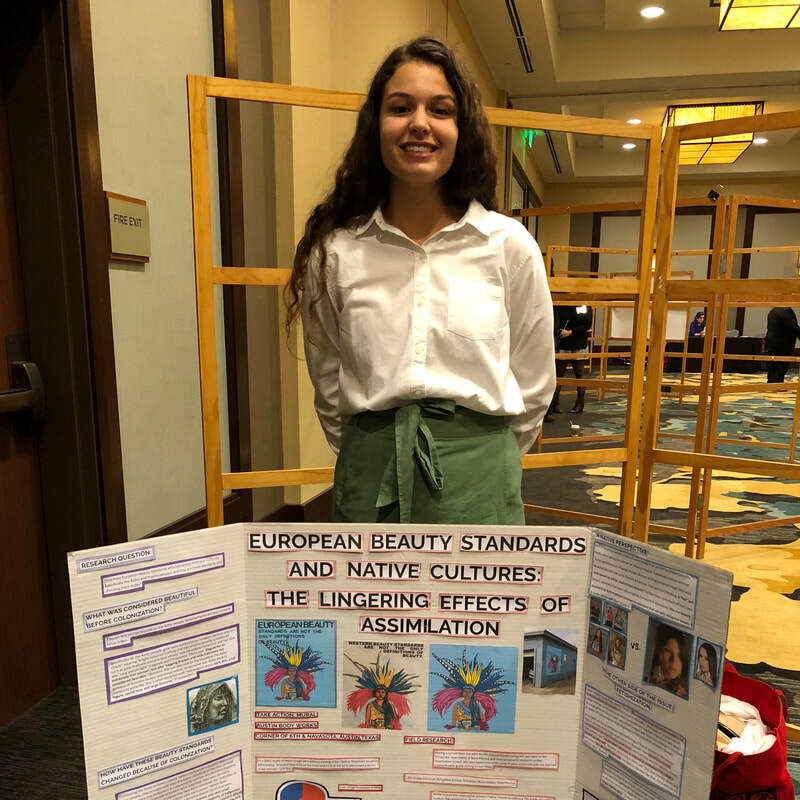 Rachel went on to win a prize for her poster in the high school division. In addition, Ms. Whipple received the Charles Redd Center Teaching Western History Award. 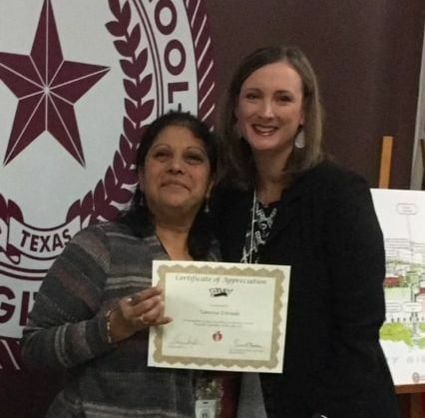 ​Congrats to Vanessa Estrada who was recently recognized by Austin ISD for going above and beyond in her service to others. The Recognizing All Valuable Employees, or RAVE, Program was established to publicly honor those who exemplify the highest level of customer service. If you had an exceptional experience interacting with an Austin ISD employee on the phone or visiting an Austin ISD site, please nominate that staff member by completing this form. Cherry Whipple has been named the 2018 History Teacher of the Year for the state of Texas, an award presented annually by the Gilder Lehrman Institute of American History, the nation’s leading organization dedicated to K-12 American history education. Inaugurated in 2004, the History Teacher of the Year Award highlights the crucial importance of history education by honoring exceptional American history teachers from elementary school through high school. ​The award honors one K-12 teacher from each state, the District of Columbia, Department of Defense schools and US Territories. ​In addition to a $1,000 honorarium for Ms. Whipple, AHS's library will receive a core archive of American history books and Gilder Lehrman educational materials. Ms. Whipple will also receive an invitation to a 2019 Gilder Lehrman Teacher Seminar, a weeklong program that offers teachers daily discussions with eminent historians, visits to historic sites, and hands-on work with primary sources. Congratulations to AGS Junior Lydia Heisel for being selected for the Youth Presidential Leadership Council (YPLC) at Lyndon B. Johnson National Historic Park. Students were evaluated on leadership potential, engagement with community, and interests in the National Park Service. Participation was highly selected, with only 8-12 students selected. Lydia will participate in interactive workshops, receive leadership training, work on service projects, and engage in dialogue with influential guest speakers. In addition, her volunteer hours will count towards her AGS endorsement. Way to go, Lydia! 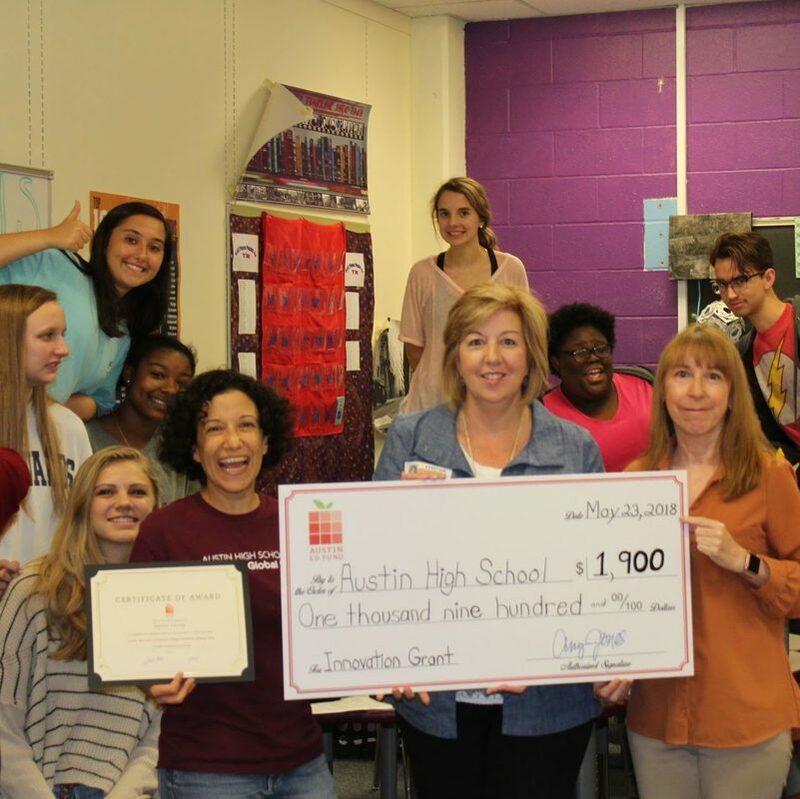 ​The Austin Ed Fund awarded $1900 to Austin High School for a 2018 Innovation Grant in support of Ms. Cooper's "Flexible Seating for Learning" proposal. This grant was used to deck out Ms. Cooper and Ms. Whipple's classrooms with flexible seating options and other items. Austin Ed Fund’s Innovation Grants support creative approaches to teaching and learning in Austin ISD classrooms. ​"Studies show that students are more successful when collaborative learning spaces and flexible seating are available in classrooms. This project provides student-centered options for the learning environment, which will engage students and build the 4C skills: collaboration, creativity, critical thinking, and communication. Serving junior-level students in one of the four academies, it will impact 160+ students the first year with a potential of benefiting additional students in future years. "